Air Charter Advisors is your premier source for private jet rentals, turbo-prop flights, helicopter transport and luxury yacht charters in Athens, Greece and surrounding areas of the Greek Islands. Athens is one of the world’s top destinations for luxurious holidays, and the most comfortable, convenient, and stylish way to travel to/from Athens is by renting a private jet to (ATH) Athens “Eleftherios Venizelos” International Airport. Air Charter Advisors, an industry-leading jet charter broker, offers simple, pay-as-you-go air charter service with no contracts, no hidden charges and no membership fees. Air Charter Advisors offers the highest standards in executive and leisure travel, and our team arranges on-demand private jet charter service to/from Athens, Greece for clients around the world. Our company has access to thousands of private planes based around the world, and all of the aircraft we use for to arrange private flights are Wyvern-certified and operated by FAR Part 135 or 121 (or foreign equivalent) air carriers. ACA also offers a variety of luxury concierge services to complement your private flight, including ground transportation, catering, helicopter lifts and other services. We can also assist in aircraft sales & acquisition, and offer a wide range of marketing and management solutions for private jet, turbo-prop and piston aircraft owners. Enjoy the convenience and peace of mind you get from working with an air charter broker you can trust, and ACA will be your solution for luxury air travel, aircraft acquisition and private jet management in Greece. Call us at 1-888-987-5387 or request a charter quote for your upcoming flight to Athens. Our brokers can book your private jet and arrange in-flight catering, luxury ground transportation, helicopter lifts and fulfill any other requests you have – consider our Athens Jet Charter team your one-stop shop for all things private aviation in Greece and the Greek Islands. Fly private to Athens by arriving at one of the following airports. Private travelers will typically arrive at (ATH) Athens Eleftherios Venizelos Int’l Airport, the main gateway into the Greek capital, located just under 25 miles from the city center. The cities of Decelea and Elefinsa offer additional arrival options for executives and governmental officials with business in the region of Attica. Air Charter Advisors arranges private jet charter service to thousands of destinations around the world for luxury vacations and business events. Learn more about private aviation in Greece, and search the ACA Network for your next private jet destination. ACA has access to the following Wyvern-certified aircraft for your private flight. All of the aircraft we utilize for charter service are operated by FAR Part 135 or 121 (or foreign equivalent) air carriers, using only veteran pilots in the private jet you’re renting. We’ll provide you with a variety of aircraft options based on the goals and budget of your trip, allowing you to charter a cost-effective aircraft, or the most luxurious, stylish corporate jet on the market. Check out our Aircraft Gallery for more details on all of the aircraft available for your trip. Charter a private jet and visit the Greek capital of Athens, the birthplace of Western Civilization, home to more than 3,400 years of recorded history, and one of the most popular destinations for private aviation in Europe. 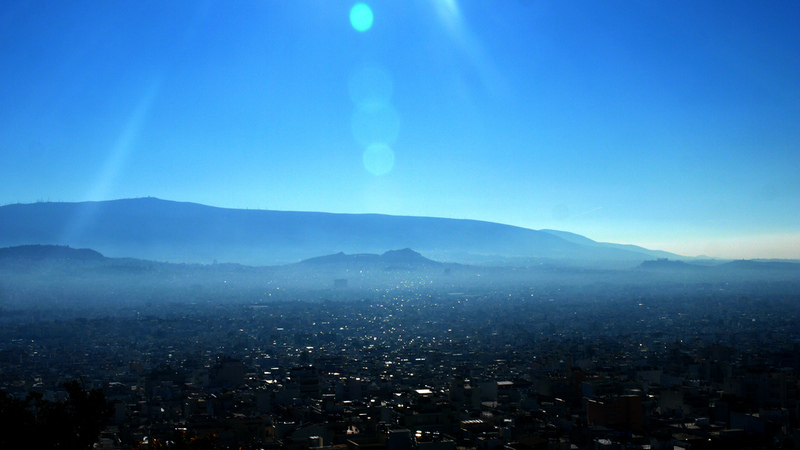 Athens is one of the oldest cities in the world, and dominates the Greek region of Attica. It’s widely referred to as the cradle of Western civilization, a historical center for arts, learning and philosophy, home to Plato’s Academy and Aristotle’s Lyceum; its cultural and political influences throughout Europe earned it recognition as the birthplace of Democracy. 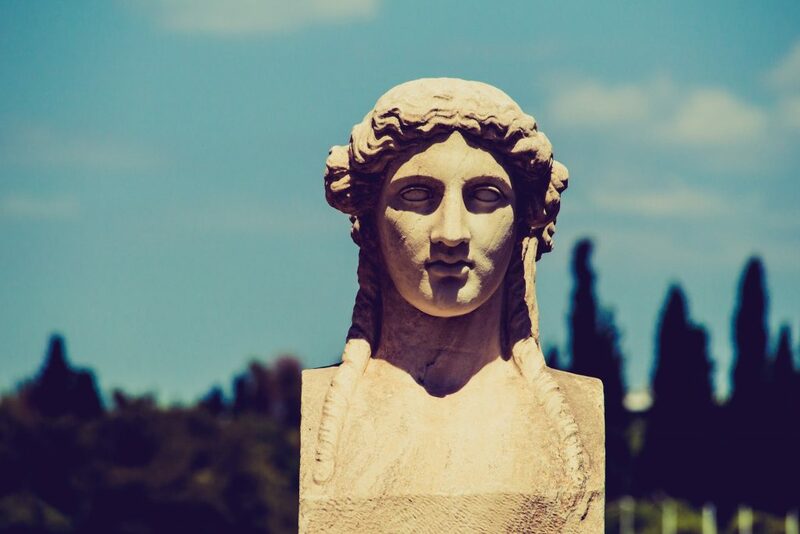 Whether you’re flying private to Athens for business meetings or to explore the city’s rich culture and history, ACA can handle all aspects of your private air travel. Check out some of the best things the city has to offer after your private flight arrives at (ATH) Athens International. 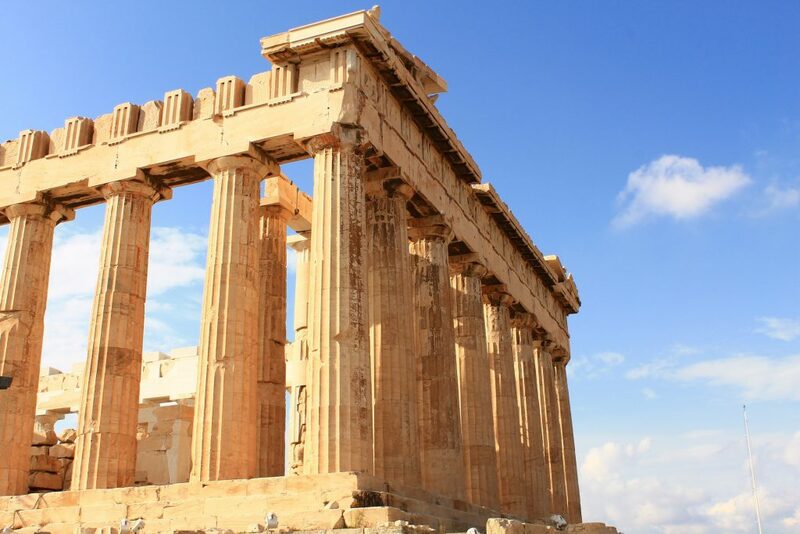 A private flight to Athens puts you in the center of some of the world’s best ancient sites and historical landmarks. As one of the world’s oldest cities, you’ll find influences from a variety of cultures that have ruled over the city throughout the centuries. Although the first pre-historic settlements arrived in 3,000 BC surrounding the hill of Acropolis, the first mention of Athens in recorded history doesn’t appear until around 1,400 BC, by which time it had already become a major cultural center of the Mycenaean civilization. Thanks to it’s fortified hilltop location featuring the Acropolis, it became a major trade center in the ancient Greek world by 900 BC. Through years of conflict with the Persian empire, Athens established itself as the world’s first democratic city-state, leading to a Golden Age of Athenian Democracy following the Greco-Persian War. It was during this time it became the world’s leader in philosophy, drama, historical writings, artistry, and politics. As Athenian influence began to spread throughout the Greek states, the militaristic city-state of Sparta, an Athenian ally during its wars with Persia, took issue with their goals, resulting in the nearly 30 year Peloponnesian War where Athens’ imperial ambitions were squashed in defeat. All of Greece was conquered by Macedonia in 338 BC, who controlled Athens until 197 BC when Rome arrived; it was passed from Roman to Byzantine control when the Roman Empire split in Late Antiquity. As result, the Ottoman, Byzantine and Roman civilizations mark the city’s design everywhere you look, containing some of the world’s most treasured sites and landmarks for you to explore after your private flight arrives. Athens revived the the modern Olympic Games when it hosted the 1896 Summer Olympics, highlighted by the Panathenaic Stadium known as Kallimarmaro, the world’s only all-marble stadium. It was constructed on the site of an ancient racecourse dating back to 330 BC, and also served as a venue in the 2004 Summer Olympics when it hosted the event again. 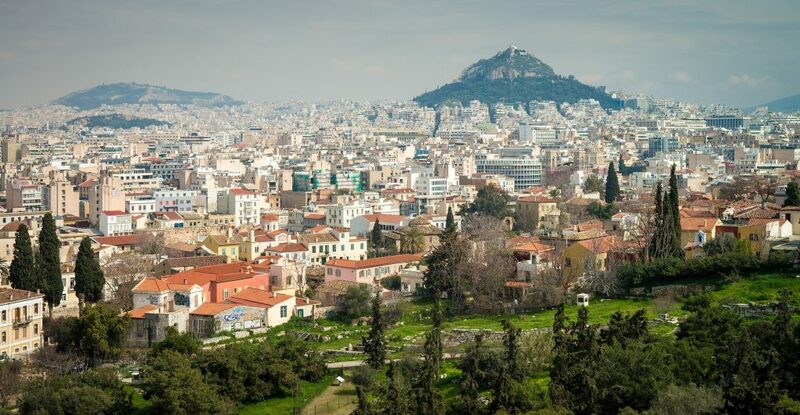 Today, Athens is a cosmopolitan metropolis and the economic, financial, industrial, maritime, political and cultural center of Greece, and home to nearly 4 million Athenians. At first impression, modern Athens appears to be entirely composed of unappealing, concrete buildings which lack character and could use a layer of fresh paint — venturing through the maze of greyscale walls will uncover centuries old history and architecture, as well as hidden gems, including narrow, winding paths uncovering neoclassical buildings, traditional cafes, trendy shops, leading all the way to incredible views of the Acropolis. If you or your executive team need to arrange a private business jet to (ATH) Eleftherios Venizelos International, you’ve come to the right place! ACA offers simple, pay-as-you-go charter service using the same standards Fortune 500 companies apply to their fleet of business jets. We can arrange ASAP flights in as little as 4 hours (or less), and offers a variety of luxury concierge services for executive travelers. Athens is the political and financial capital of Greece, home to its largest GDP and home to headquarters for multi-national companies including Coca-Cola, Ericsson, Motorola and Siemens. Thanks to its location and economy, it’s recognized as a global city and an important European center for arts, commerce, culture, education, entertainment, finance, international trade, media, shipping and tourism. It’s also one of the biggest economic centers in southeastern Europe, and its port Piraeus is both the largest passenger port in Europe and the second largest in the world. Despite it’s recent economic struggles, it’s still a major commercial city, and a popular destination for executive charter flights. Book your next private executive flight with ACA and speak to one of our Air Charter Advisors about private jet acquisition & sales, aircraft management & marketing, supplemental lift for corporate flight departments and all of the other business jet services we offer. Center of the ancient world, the capital of Greece is a marvelous paradox of quality, both ancient and modern while laid back, yet full of energy. Home to an amazing Mediterranean climate and lively culture, it also boasts some of the most amazing five-star accomdations on the planet. Following the 2004 Summer Olympic Games, Athens received quite an Olympiad revival, opening a new airport (ATH Eleftherios Venizelos Intl), refurbishing its metro system, and covering the waterfront district with trendy restaurants and bars. Some of the world’s nicest five-star hotels and resorts soon followed. Athens is as as beautiful and atmospheric as you’d imagine this premier Mediterranean destination to be, and its exclusive hotels and resorts cater to the most wealthy travelers, including celebrities, VIPs, royal family members and heads of state. Below are some of our top choices for private jet travelers looking to match the luxury and opulence of their private flight with a luxurious stay at an Athenian five-star hotel. Athens & the Greek Isles are a premier destination for sailing & yachting, mega-yachts and some of the most luxurious watercraft in anywhere in the world. Private yachts setting sail across the Mediterranean can visit to incredible destinations from here — explore the islands of Malta, Cyprus, Sicily, Corsica, Sardinia and the Balearic Islands of Ibiza & Mallorca on your way to Cote d’Azur including at places such as Monaco, Cannes, Nice and St. Tropez. Adding a private luxury yacht charter to your luxury holiday puts you in the Captain’s seat for your voyage throughout the Mediterranean, and ACA is here to arrange all of the maritime arrangements for you and your crew. Our has experience working directly with yacht providers from around the world to connect clients to the perfect yacht for their holiday at sea, and can seamlessly add your private yacht charter to your trip itinerary. Speak with one of our brokers and let them know your goals; we’ve accommodated budgets of up to seven figures per week and beyond. Set sail on your own voyage charter a luxury yacht in Athens, Greece. Air Charter Advisors utilizes the following airports to arrange private jet charter service to/from Athens, Greece and neighboring areas of Europe and the Mediterranean. Charter a private jet to Athens International Airport “Eleftherios Venizelos” (IATA: ATH, ICAO: LGAV), informally known as “AIA”, largest and busiest airport in Greece and the main hub for Aegean Airlines and other Greek airlines. Located just over 40 km southeast of the city center in Spata, AIA is the main airport serving the Greek capital and the surrounding region of Attica. Since opening in 2001, (ATH) Athens International Airport consistently ranks as one of the 30 busiest airports in Europe, handling just over 20 million passengers in 2016. Facilities at ATH include two terminal buildings — a main terminal, and a satellite terminal which you can access through an underground link in the main terminal — and two runways which both measure well over 10,000 feet (3,000m), making it suitable for any private jet or airliner. Expansions will continue over the next few years to help with increased traffic, and the final phase looks to make ATH capable of handling up to 50 million passengers. The best way to arrive is via luxury jet at (ATH) Athens International. 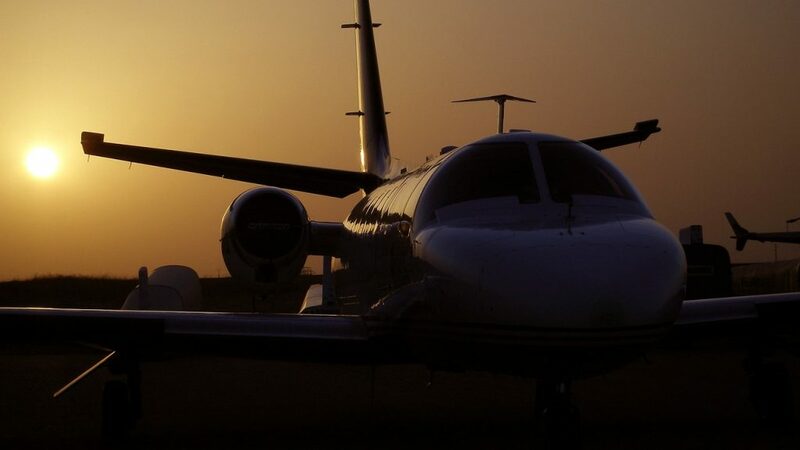 Private jet travelers can arrive/depart quickly and efficiently through one of three private terminals (Alpha Jet Services, Goldair, Signature ATH). Upon arrival, we can arrange for ground transportation or helicopter charters to bring you to the resort or island of your choice. Clients may also be able to utilize Tatoi Airport (ICAO: LGTT), a public/military airport located north of Athens in Decelea. The airport is primarily used by the Hellenic Air Force, and serves as the base for the Dekeleia, Athens, and Mesogeion Aeroclubs. It has also been used by many other aeroclubs of Attica, and the Hellenic Air Force Museum is located on-site, home to a variety of old aircraft. (LGTT) Tatoi Airport originally opened in 1918, and it now has a single runway (03/21) measuring 5,789 feet (1,764m). The airport is suitable for light, super light and mid-size jets, although advanced notice may be required to obtain operational permissions. Call an Air Charter Advisor to go over the details about renting a jet or turbo-prop to (LGTT) Tatoi Airport. Request a Quote or give us a call at 1-888-987-5387 to speak with one of our Athens Private Jet Charter brokers to arrange your private flight. Air Charter Advisors is a leading air charter broker based in the United States, offering a variety of private aviation services for both executive and leisure travelers. Whether you’re looking to rent a private jet, purchase an aircraft, or want to discuss the benefits of adding private jet charter to your corporate travel department, our aviation services have you covered.